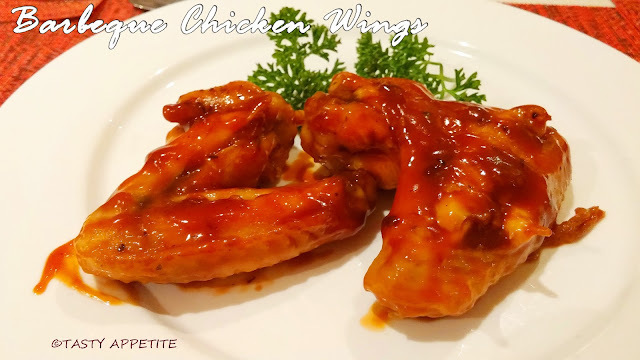 Here goes the easy and absolutely delicious barbeque chicken wings recipe. The gooey and sticky texture of this popular appetizer dish makes it fingerlicking good. 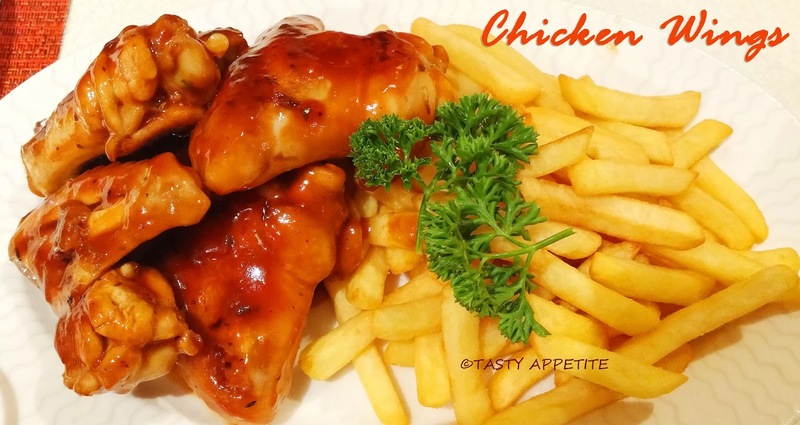 This is a no-fuss recipe and prepared by simply marinading the chicken overnight and baked up and dipped in sticky sweet honey barbeque sauce. 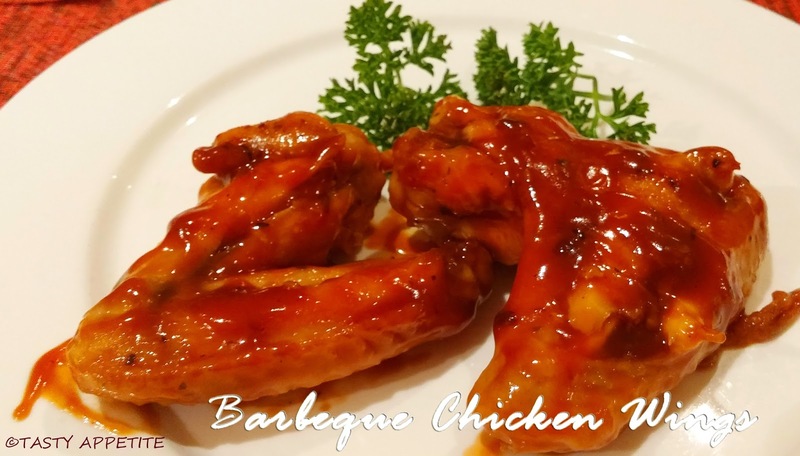 Try this recipe to enjoy the sweet and spicy barbeque chicken wings. 1. Clean, wash and dry the chicken wings. 2. Marinate it with paprika or red chilly pwd, lemon juice, ginger garlic paste, 1 tsp oil, pepper pwd and salt. 3. Allow to marinate overnight or minimum 4 hrs. 5. Grease the broiler pan with cooking oil. 6. Arrange the marinated chicnges wings in single layer on the pan. 7. Grease it with oil. 8. Place the pan in the oven. 9. Cook for 35 to 40 mins, flipping the wings once in a while and spraying some cooking oil over it. 10. Meanwhile take a small sauce pan. 11. Add tomato sauce, garlic pwd, barbeque sauce, honey, hot red chilly sauce and mix well. 13. When the wings are cooked soft, take them out carefully and dip them in the sauce one by one. 14. Take care the wings are completely coated with the sauce. 15. Arrange them in the pan again. 16. Now place the pan in the oven and bake it for another 5 to 8 mins. 17. You can see the sauce turns glazy. 18. Take it out from the oven. 19. Lipsmacking good boney barbeque chicken is ready. 20. Enjoy hot with cilantro garnishing. 21. It makes a yummy combo with crispy crunchy French fries. That looks absolutely tempting!! I'm surely going to try them! Looks like hot wings! Loving the spices and seasonings you've used..... sounds yummy!